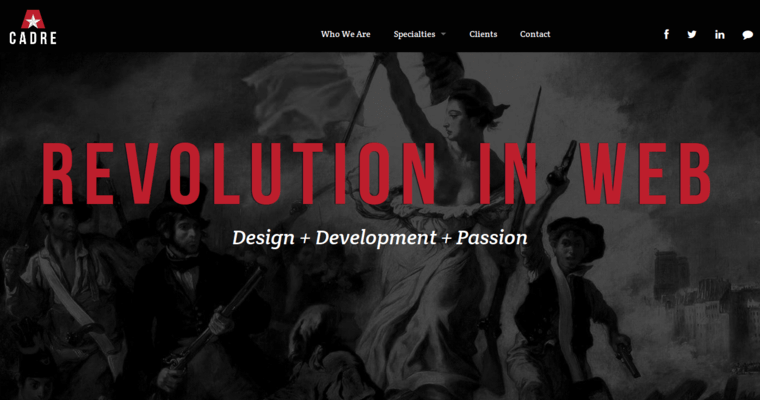 Design plus development plus passion equals a revolution in web at Cadre. 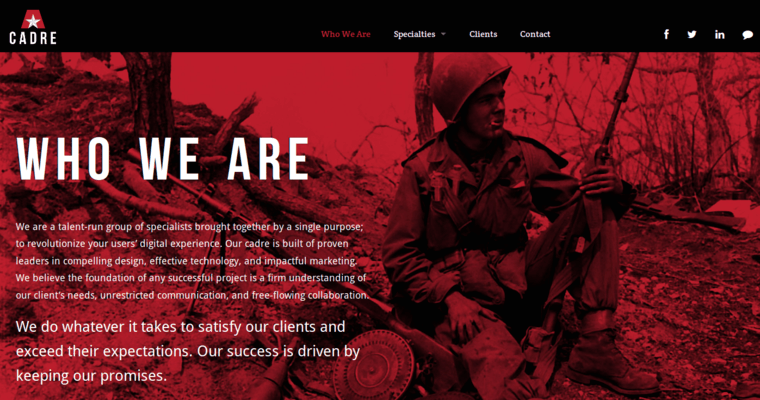 With a reputation built on exceeding expectations, this agency is comprised of leaders in design, technology and online marketing. Understanding the clients' needs is the foundation of Cadre, which works to develop open communication and free-flowing collaboration as part of the process. Its specialties include design, development and marketing. 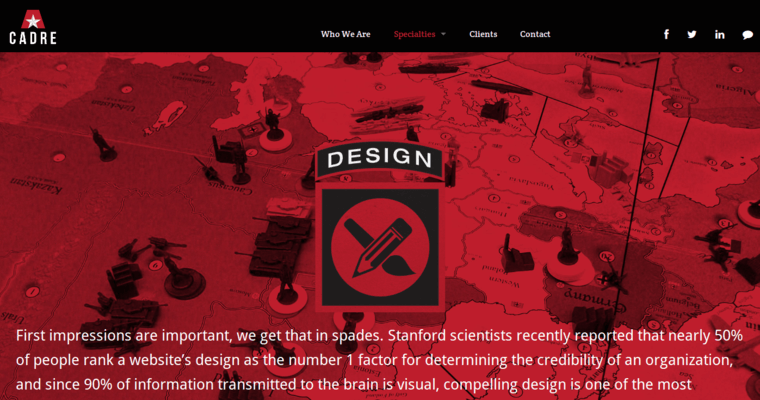 Design services include brand identity design, information architecture and application design. When it comes to development, this innovative agency offers everything from website management solutions and custom applications to mobile app design and development. It also offers expertise in hosting services and ongoing site management. Its marketing services include auditing, SEO, analytics, content optimization, and user experience and conversion rate optimization. Cadre is based in Atlanta, GA, with a client base featuring Allstate, Coca-Cola, General Tire, Delta Airlines, Geico, E-Harmony, Kelly-Moore Paints, Aegis Sciences Corporation, PerfectMatch.com and many more.